Today I am making black pepper crab Singapore restaurant style. This recipe tastes wonderful. You can get spiciness from black pepper and at the same time get a sweet taste from black bean sauce. The balance of Sweet and sour taste of the dish makes it different from other dishes. It’s very popular in Singapore, you can find this dish in the many street food centres and also you can find the same dish in many expensive seafood resturants. 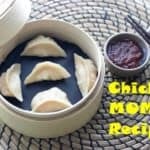 I tried this recipe in a restaurant. The dish was great. It was hot and spicy. Even when you are in Singapore you can get only spicy and hot version of the dish. But when I made the dish at my kitchen I made it less spicy and tried to keep a balance of sweet and sour flavour. 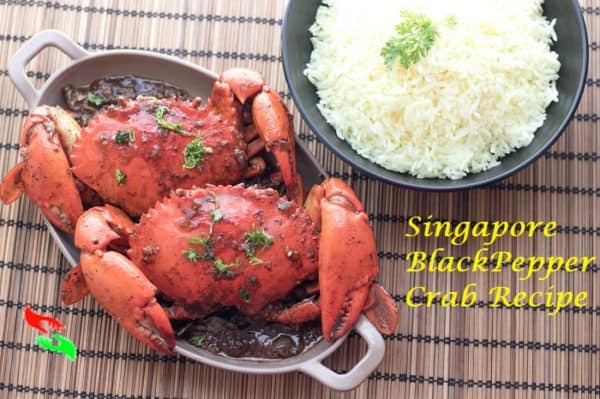 What kind of Crab is good for this Black Pepper crab Singapore Restaurant Style Recipe? In Singapore, they use hard shell crabs for the recipe. Even I also love to use hard shell crab for the recipe because sweet hard shell crab flesh tastes just perfect with hot spicy black pepper-black bean sauce. If you do not find hard shell mud crab you can use blue crab or any medium size crab. In India, hard shell crab is the most common seafood in the market especially at the end of the November session. I am living in Maharashtra; if you are also living here in Maharashtra you can find a hard shell big size crab in every Sunday morning in the fish market. But my suggestion is please do not use frozen crab meat or crab stick for this recipe as those are not the fit ingredient for this wonderful tasty recipe. Which is the Best Singapore crab Recipe Black Pepper Crab or Chilli Crab? Both are the signature spicy dish of Singapore. I love both recipes. 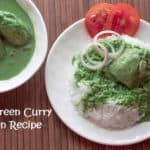 Both recipes have more or less Indian and Chinese cuisine influence. Both dishes taste great, super spicy hot and look delicious as well as gorgeous. I will recommend if you go to Singapore must try both the recipes. And I am sure as like me you will be confused which one taste better than other. I also recommend you to eat the dish with white rice or coconut rice; then only the awesome taste you will get which is not too hot and will not burn your mouth. 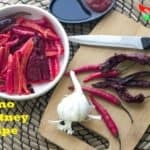 How healthy way you can make the dish? In Singapore, they always deep fry their seafood in hot oil. Because of this, the dish looks oily after it prepares. I don’t like oily food especially if the food is spicy and hot. I always boil my crabs after cleaning with some regular salt and vinegar. The salt and vinegar kill it’s extra seafood smell and germ too. Sometimes I store my boiled crab in the refrigerator for 3 to four days. Because they are boiled they do not have any raw properties in it so it will not sting and rotten fast If your deep freeze. Taucheo Paste fermented bean paste. But I used black bean sauce as a substitute for Taucheo. 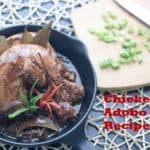 I will recommend if you find Taucheo paste must use it in the recipe. Take a dry hot pan. Do not add any oil in it just roast peppercorns over the low flame for 3 minutes, not more than it. Then ground it finely For after use. Take another frying pan put BUTTER into it. And then very quickly add chopped garlic into it. Sautee Chopped garlic for 1 minute over the medium flame. Just after 5 minutes add all the crab's mix well with other ingredients and add water in this stage. Now cover the pan with a lid for 5 to7 minutes. Cook the crab in medium gas flame does not low the gas flame in this stage. If you do it then the sauce of the dish will be more watery. we need a curry kind of thick sauce texture. IF YOU LIKE THIS BENGALI FRIED RICE RECIPE OR YOU HAVE ANY MORE INFORMATION ABOUT THE RECIPE SHARE WITH ME IN THE COMMENT BOX. YOUR EVERY COMMENT IS VALUABLE TO ME.SO NEVER FORGET TO SHARE YOUR THOUGHTS WITH ME.